I wondered why Professor Burstein had put an #RIP under a penguin-shaped cocktail shaker. I went to verify that my penguin cocktail shaker was safe. He was. I tweeted Professor Burstein and asked why the #RIP. She responded immediately Walmart v. Samara. Recalling that the case involved children's frocks and too lazy to revisit it on a cozy Saturday night in front of the woodstove, I asked again what the connection was. She told me that it was one of Justice Scalia's excellent analogies in that case. I have since gone back to revisit Walmart v. Samara. Below is Justice Scalia's language on behalf of a unanimous court, and the case is here. In the case of product design, as in the case of color, we think consumer predisposition to equate the feature with the source does not exist. 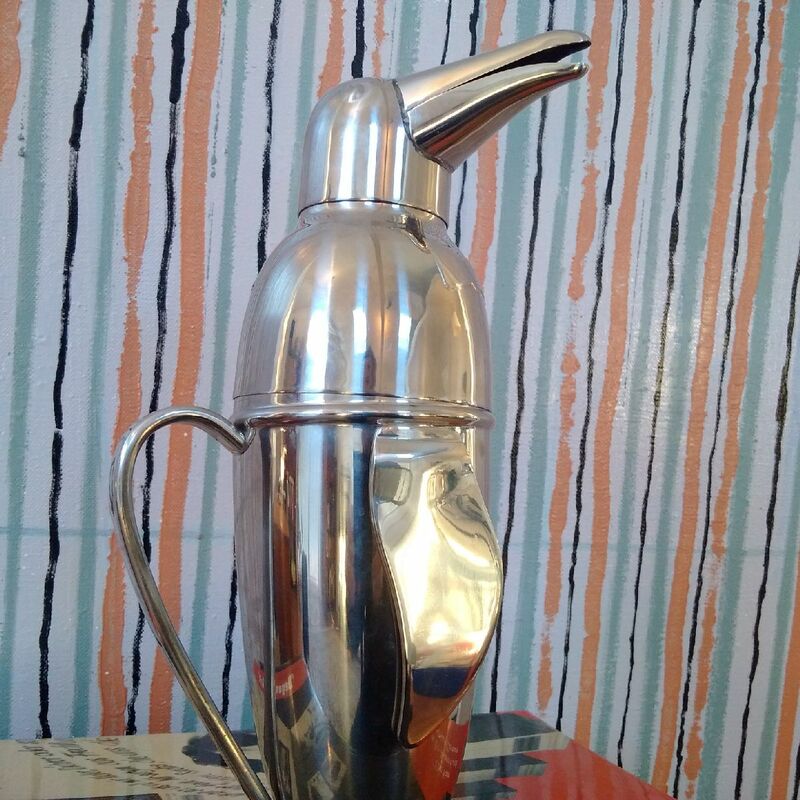 Consumers are aware of the reality that, almost invariably, even the most unusual of product designs-such as a cocktail shaker shaped like a penguin-is intended not to identify the source, but to render the product itself more useful or more appealing. We hold that, in an action for infringement of unregistered trade dress under § 43(a) of the Lanham Act, a product's design is distinctive, and therefore protectible, only upon a showing of secondary meaning. The judgment of the Second Circuit is reversed, and the case is remanded for further proceedings consistent with this opinion. As Batman so sagely told Robin, "In our well-ordered society, protection of private property is essential." From Batman: The Penguin Goes Straight broadcast March 23, 1966. In D.C. Comics v. Towle, the Ninth Circuit concludes that the Batmobile is a copyrighted character and thus protected from auto enthusiasts making replicas under copyright law. Ron Coleman over at the Likelihood of Confusion blog has a good writeup of the case here. There is a cert petition pending, Ron's post provides a link. Ron seems to be on the fence about whether indeed an automobile is a "useful article" and thus not subject to copyright protections. Eriq Gardner's take here. I read the cert petition and the author of the petition does not cite any difference of opinion among circuits and really does not point out that the Batmobile raises issues that may conflict with current Supreme Court precedent. So it is unlikely the U.S. Supreme Court is likely to take up the case. It seems to me that the Ninth Circuit's analysis is and will be problematic for copyright law and is in tension with Justice Scalia's opinion in Dastar Corp. v. Twentieth Centrury Fox Film Corp. in which he warned about creating a species of perpetual copyright and patent. Opinion here. Italian philosopher Umberto Eco just died, his NY Times obit here. Eco was interested in semiology and semiotics, that is the study of signs, symbols meaning and communication. He was accused of more high-minded colleagues of being interested in things that were "trivial" or low-brow. His books In the Name of the Rose and Foucault's Pendulum were international bestsellers. Eco would certainly have attributed great significance to Justice Scalia's finding - out of all of the possible things to convey his point - a penguin shape making a cocktail shaker "more useful and appealing". 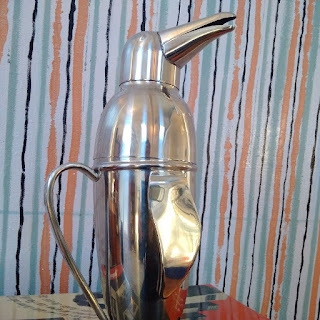 With his passing, we are left to wonder whether a bat-shaped cocktail shaker would have survived a copyright challenge.